to pay them their monthly stipends. Some of the beneficiaries of the scheme who spoke to the reporter, said they have not been paid their October and November stipends. Mrs Chika Nwokedi, an N-teach beneficiary, who teaches at the Government Secondary School, Garki said it was becoming increasingly difficult to take care of her family needs. Nwokedi said that the delay in the payment of the stipends, was coming at a time the beneficiaries were hopeful that the scheme had provided a temporary relieve from unemployment. Another beneficiary, Mr John Davids, a teacher at the Government Secondary School, Lugbe, called on the federal government to come to their aid. He said since the federal government had paid its workers it should be magnanimous enough to pay the N-power beneficiaries too. Malam Muhammed Sanni, also a teacher at the Government Secondary School Kabusa, pleaded with the federal government to pay their stipend. NAN reports that the federal government launched the job creation and empowerment initiative, the initiative is one of the social investment programmes of the Muhammadu Buhari administration. N-Power is designed to help young Nigerians acquire and develop life-long skills. The scheme is divided into different parts such as the N-Teach, N-Tech, N-Health, N-Agro, N-Build among others, each for its area of specialisation, designed to engage the Nigeria youths in Teaching, Technology, Agriculture, Health. The government has also added N-Tax, the beneficiary of N-Tax will help the government to sensitise the citizenry on the need to pay tax. NAN also reports that on Nov. 4, the federal government apologised to the beneficiaries of the N-Power programme over the the delay in the payments which it said were caused by some technical issues encountered by the N-Power programme. 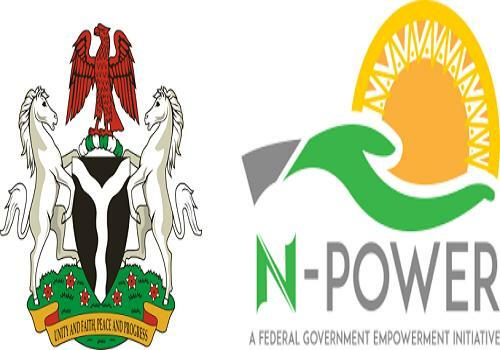 A statement released by the federal government on the N-Power website said: “Dear NPower Beneficiaries, we apologise that you are yet to receive your October stipend.